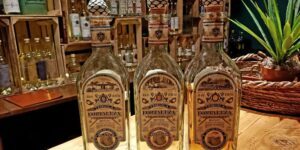 April 3rd at Tahona Mezcal Talks, we will host Khrys Maxwell from Tequila Fortaleza. Khrys will lead us into learning more about the history of Fortaleza, walking us through each of their expressions, how its made and the flavor profiles of each. We will also be doing a happy hour from 5 pm-7pm with their wonderful Blanco expression to showcase how great it can be in cocktails as well.